Laos annually celebrates Lao Issara Day on August 13. 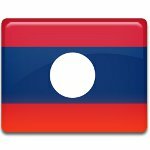 This day commemorates the short-lived anti-French and non-communist movement, that was formed in Laos in 1945. Towards the end of World War II, Japan was losing its powers against the Allied Forces and made everything possible to find its own allies. During the war Japan occupied the territory of Laos, that originally was a French protectorate. The Japanese started pressure the King of Laos to declare independence from France on April 8, 1945. However, Japan surrendered on August 15 and Prince Phetsarath tried to convince King of Laos to unify the country and declare the treaty of French Protectorate invalid, since France couldn't protect Laos during the war. But King intended to keep Laos a French protectorate, as it was. Then Prince Phetsarath formed the Lao Issara movement towards independence of nation. In October 1945, supporters of the Lao Issara deposed the king and formed a new government. Lao Issara Day was established in Laos in honor of the Lao Issara movement in fight for independence. This holiday is celebrated on August 13.